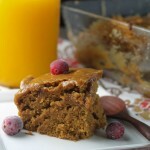 A luscious, moist gluten free and vegan pumpkin cake, complete with a caramel drizzle to kick off the fall! With the kick off of the fall season looming ever nearer, I baked up the first of my winter squash/pumpkins. Have you ever tried fresh pumpkin puree? The flavor is so mild and sweet compared to the stronger flavor of canned pumpkin. It is an extra step, but it is SO worth it…I missed it SO much these last 6 months!! It is like having a best friend back in the fold again. I wanted a cake to bring over to my friend’s house for supper, and created this off of a regular old recipe I discovered on food.com. I had to make it gluten free and vegan, so I changed most of it! The glaze on these bars really rocks. It is delicious in a very sinful way and quickly turns the bars into a decadent treat. I prefer the use of ghee (casein free butter), but coconut oil and vegan butters also work. They do just do not taste as caramel-esque as the ghee. Like pumpkin as much as we do? Click here to see all my recipes that include pumpkin or squash!! In a mixer, beat the pumpkin through the vanilla until well combined. With the mixer still running, sprinkle in the baking powder, soda, cinnamon, salt, and guar gum. Pour into your prepared pan and bake for about 30-35 minutes until a knife inserted in the middle comes out clean. In a small saucepan, bring the butter, palm sugar, and milk to a gentle boil for about a minute. Remove from the heat and add in the vanilla, cinnamon, and sea salt. In a mixer, beat this mixture with the powdered sugar until well mixed! I love any thing made with pumpkin and theses look wonderful Thanks for sharing on Real Food Fridays. Pinned and twitted. It does look moist and delicious. I like it has no refined sugar in it. I will have to give this one a try. These bars look amazing! And that frosting, oh my! These bars look so moist and delicious! I can’t wait to make them. Thanks for linking up with #FoodieFridays! 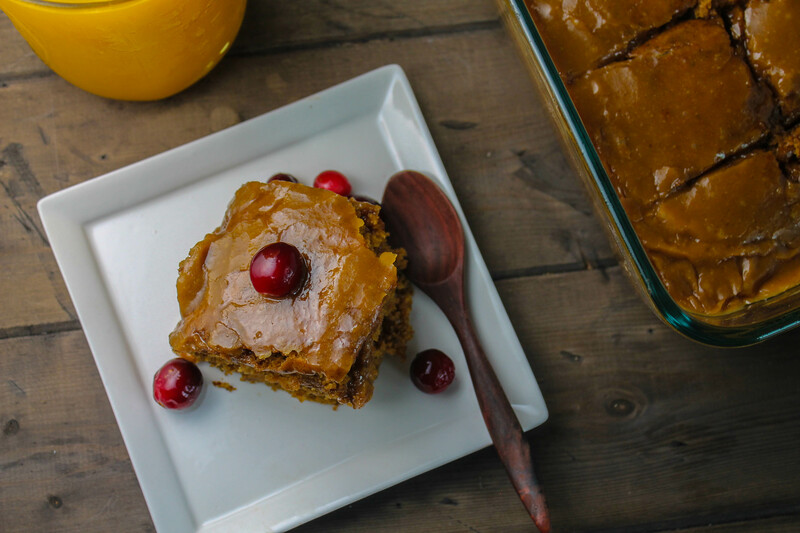 Delicious love pumpkin bars, thanks for sharing with Hearth and Soul blog hop. pinning. Sounds and looks delicious. Perfect for a healthy snack or when you have some friend or family over. Thanks for sharing on Real Food Fridays. Pinned & twitted. My mouth is watering right now! I may just have to make a batch of these this weekend! Do you think these have to have guar gum in them? I don’t have any on hand right now! And I want to make these! Thank you! These looks SO tasty and healthy too! 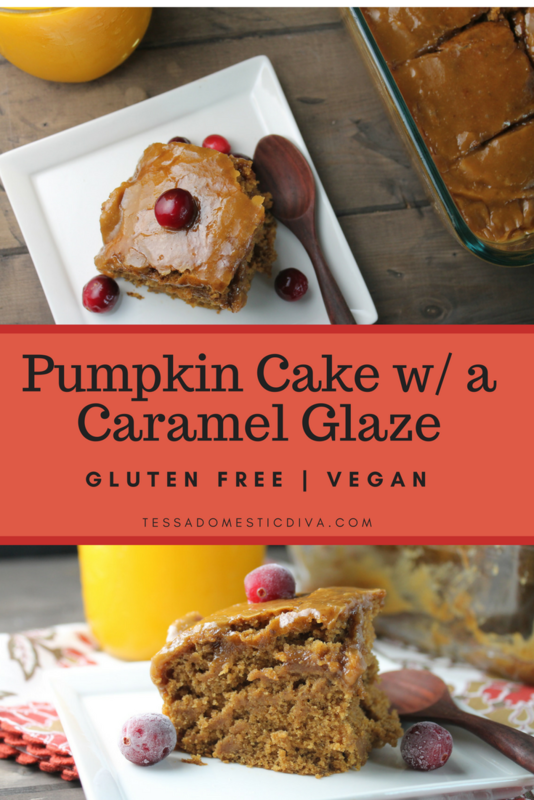 I love the combo of pumpkin and caramel, yum. Thanks for sharing on Natural Living Monday! I love the sound of that frosting, and I also love to make my own pumpkin puree. Thanks for linking up to Healthy 2Day Wednesday! Hi there. 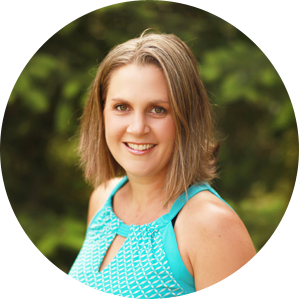 Visiting from the Natural Living Monday link up. Love the recipe! We have one completely GFCF in our home, and another with an anaphylactic allergy to peanuts and eggs. I’ll be checking in here often from now on! 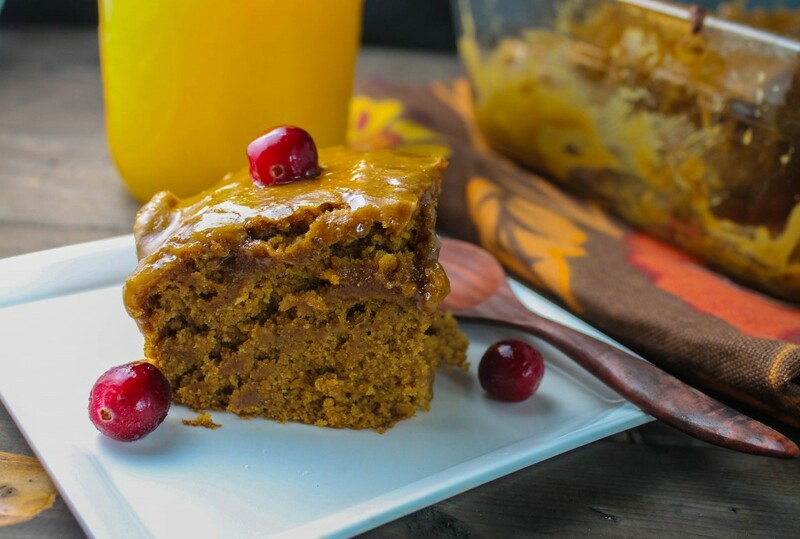 Your Pumpkin Bars with that awesome Caramel Frosting look amazing! Have a great weekend and thank you so much for sharing with Full Plate Thursday. Made these without the icing (just trying to avoid sugar). Used xylitol in place of sugar in the dough. Yum! Yes, we are digging on this recipe right now too Tatyana, thanks for letting me know! YUM! The icing alone is worth given this recipe a try! I will have to try it with fresh pumpkin puree! So yummy! Going to serve these up with your amazing pumpkin ice cream recipe. Yum, what a great idea Niina! These truly are amazing! With the pumpkin-loving hubby’s bday coming up, guess what’s on tap for dessert 😀 Thanks so much for posting! Well here’s to round three then Raeleen, so glad you guys are enjoying them as much as us!